Filip Cvitić, MSc in the field of design. Photo by Dragana Ileš. Filip Cvitić was born in 1986 in Zagreb. In 2005 he entered the School of Design at the Faculty of Architecture, University of Zagreb, Croatia, where he completed the undergraduate study of visual communications in 2008. That same year he continued his studies in visual communications at the same university and graduated in 2010 on the topic dealing with National Strategy of the Republic of Croatia (mentored by professor Nenad Dogan). Following the typography course led by professor Nikola Đurek at the School of Design, the students got a task to make a revival of some old typography. Filip chose Croatian Glagolitic Script because he always wanted to learn and to take challenging assignments, and also because of curiosity and desire to learn this part of Croatian culture. Through research, analysis and discovery of the role that the script had in Croatian and European history, it began to intrigue him even more. He began to realize the complexity and richness of that field and began to work on uncovering its secrets and potential. So he started creating his first Glagolitic Script font named Epistula Croatica, which was done according to the first Croatian printed book Missale Romanum (“Misal po zakonu rimskoga dvora”), a Glagolitic incunabulum from the year 1483. The name Epistula Croatica in Latin means Croatian Script (Hrvatsko pismo in Croatian). For now the typeface consists of 124 characters. To promote the font a short promo movie was created in order to better illustrate its charateristics. The project of Epistula Croatica started in 2007 and most of it was finished in 2008. In 2009 it was published on the Internet at www.croatianhistory.net/glagoljica/ec. Epistula Croatica represents the first phase of a larger project which will be revealed in some time in the future. 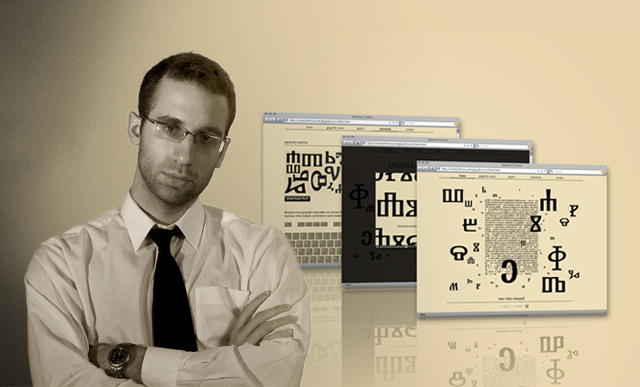 The aim of the first phase is to spread information about the Glagolitic Script. That includes educating people about the nomenclature of the script as well as the technical characteristics of its graphical forms. 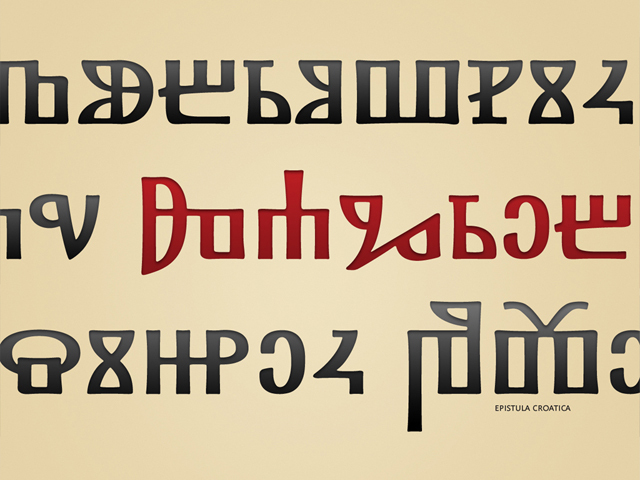 In the project Glagolitic Script is being researched in terms of design, rather than historical, potential and future role of this cultural heritage investigated for the Croatian and the world culture. Before he got acquainted with design, Filip filled out his leisure time with drawing among other things. So, in some way, he has prepared himself through this aspect for what would later become his life's calling. His wish is to continue his education and become a part of the scientific world to further research National Strategy of Croatia on postgraduate studies. at the 12th International printing Symposium, graphic design and communications Blaž Baromić 08 in Split. Filip has won the second prize at the competition for the visual identity of American Chamber of Commerce in Croatia (AmCham) held in 2008. By creating the visual identity entered the finals of international competition organized by Ellesse in 2009 among the eight designers whose work will be applied to products intended exclusively for the Korean market. He delivered three public lectures entitled A different view of Glagolitic Script (Drugačiji pogled na glagoljicu) in Zagreb: November 11th 2009 in Matica Hrvatska, February 24th 2010 in the Bogdan Ogrizović Library, and March 8th 2010 in the European House. The logo of the CROWN (Croatian World Network, www.croatia.org), that you can see at the top of this web page, has been created by Filip Cvitić using this Glagolitic typeface, according to the initial idea of Nenad Bach. Beautiful letter and Your work on to Epistula Croatica is great contribution to cultural heretage of Croatia.